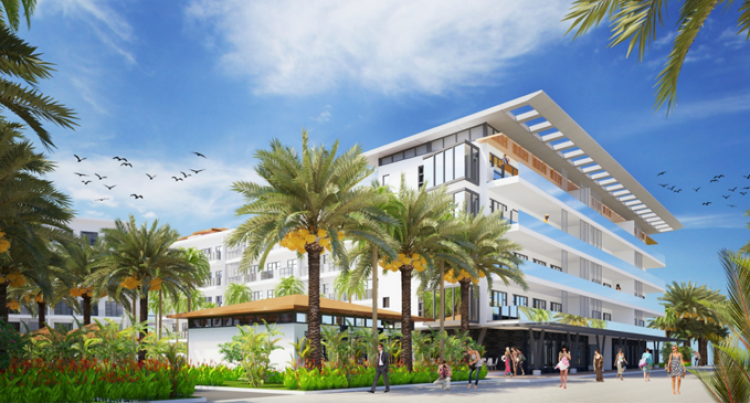 The first stage development of the $45 million Palm Beach Estate by Wailoaloa Developments Limited (WDL) is expected to be completed by next month. This was confirmed by WDL chairman Ro­hit Punja, who is also the executive director of FMF Foods Limited. Mr Punja also confirmed that the invest­ment on the development did not include the investment that would be done on the construction of a 250-room hotel and a 120-room apartment-styled hotel along the beachfront. WDL is a joint venture between Hari Punja and Sons Group and Stephen Baghdadi of Australia. The joint venture company (WDL) are in the final stages of completing the 42-acre premium sub-division at Wailoaloa Beach. The subdivision developed 90 residential lots and 14 commercial lots. To date, there are just over 20 residential lots left to be sold. “The residential lots were quickly being snatched up,” Mr Punja said. 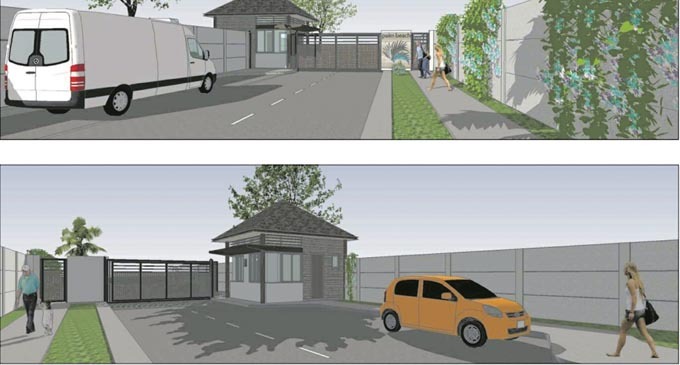 The residential lots are in a gated complex with single entry through a security point with. The whole estate is also under 24-hour sur­veillance. All residences will have access to the very popular Wailoaloa Beach which has been a popular picnic spot for locals over the years. According to real estate agents, Bayleys Real Estate (Fiji) Limted, residential lots were selling for $572,250 while commercial lots would be sold for $698,000. An artist’s impression of the security gate. The other project is also being built along the beach front. 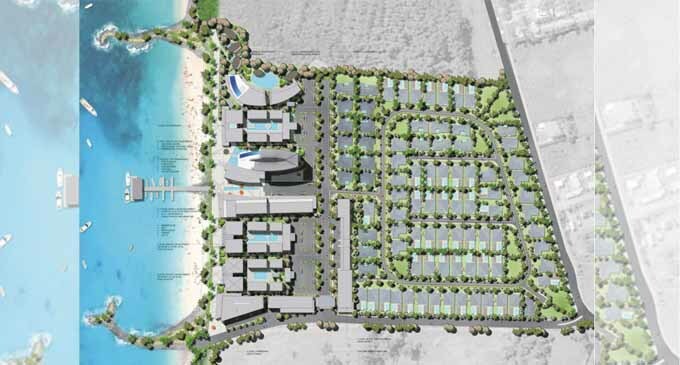 Mr Punja said the 14 acres of Beach Front will host a 250-room International Hotel. “Alongside this a 120-room apartment ho­tel type accommodation will also be built,” he said. The concept will all be in a five-storey com­plex building which will be one of its kind in Fiji. Wailoaloa is seen as the next premium tourist destination after Denarau Island. Mr Punja said there had been a lot of inter­est from international hotels chains to de­velop the hotel site in partnership with the Hari Punja and Sons Group. “Construction and development standards used are the same as New Zealand and Aus­tralia,” Mr Punja added. Mr Punja said the $45 million Palm Beach Estate did not include construction of the hotel and apartments. “The completion date of the subdivision is expected to be in June 2018,” Mr Punja said.